Cordless drills are tools, powered by wireless batteries that are used to fasten objects together and to make holes in construction materials. Many workers prefer these over corded drills because they're reliable, easier to maneuver, and they won't get in your way. 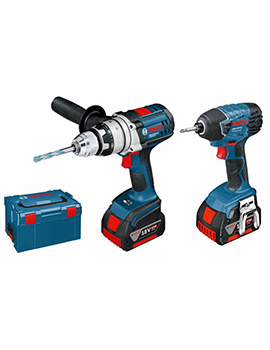 How Do You Find the Cordless Drill That's Right For You? Determine your budget and stick to it. Drills range in price, and it's not difficult to spend much more than you originally anticipated. If you stay disciplined, you can find an affordable, reputable drill without much trouble. Preference versatility over power. While it's true that you need power to bore through tough materials, versatility will pay off more in the long run. At times, too much power could be a disadvantage. You could strip or damage materials if you're not careful. Make sure it's not too heavy. If you work in construction, you likely will need to lug your drill from job site to job site. Heavy, bulky tools are difficult to operate, especially if you're nearing the end of a long work day. Accessories can add up if they're not included. Many drills come with lights, handlebars, and extra batteries. 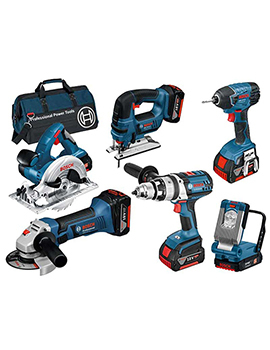 If these are not part of the original price, you may need to spend a large amount of money to equip your tool with the parts it needs to perform on the job. Pay attention to the batteries. Batteries matter a great deal. You need batteries that charge quickly, hold power for extended periods of time, and that can provide your drill with the strength it needs to cut through stubborn building materials. When you're searching for a cordless power drill for your next project, take the time to find the one that satisfies your needs. Price, power, and versatility are important, as are many other factors. With a little research, you can find a drill that's right for you.